Max Holidays, one of the most reputed tour operating companies in India is a result of passion, hard work, dedication and sincere business attitude of its founder Mr. Vishal Gogia who himself is a fond traveller and known personality in Indian travel industry. 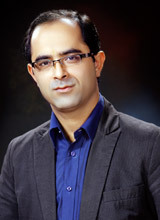 At the age of just 19 in 1993, the passion of exploring places and bringing people together encouraged Vishal Gogia to step into the hospitality business when he joined a reputed travel and tour operating company to learn about the different requirements of people coming to India from different parts of the world. In a short span of time with his ability and strength to offer flawless services and unbeatable standard he became a favourite choice for many business partners and travellers to work with. He brought and operated a large no. 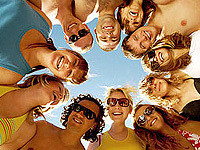 of leisure groups, incentive groups, university groups, families apart from individual travellers and tourist charters etc from countries like USA, Germany, Australia, New Zealand, Russia & CIS, Iran etc. After having worked in the tourism sphere for over a decade he started realising need of spreading his wings to implement his innovative ideas and benefit more and more travellers with this. In 2004 Vishal Gogia thus founded Max Holidays and never looked back then after. His hard work, dedication, commitments and vision received appreciation and support from all corners which worked for the company. Today the company stands strong among the leaders in the industry. 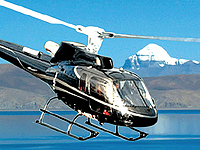 Many reputed organisation and tourism bodies including Ministry of Tourism, Govt of India, Association of Indian Tour Operators, Travel Agents Association of India, Adventure Tour Operators Association of India, Travel Agents Federation of India, American Society of Travel Agents, Australian Federation of Travel Agents etc vouch for our credibility.